Allthough one would expect the opposite, music actually did not play any major role throughout the youth of Thomas Martojo - born and raised in The Hague, currently residing in Amsterdam. As a teenager he first visited the bigger raves and festivals and only than experienced what the world of music had to offer. During this period Dutch techno jocks Steve Rachmad and Dimi Angelís mentored him musically. Following were versatile deejays such as Theo Parrish, Traxx, Rob Hall, Laurent Garnier, Larry Levan and Ron Hardy who further influenced Thomas and made him regard spinning records as to be old-fashioned craftsmanship. Multidisciplinary, being open minded and exploring the depths of timeless, quality music are what matters most to him as a deejay. 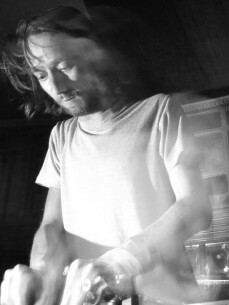 Music wise, Thomas is strongly rooted in classic Chicago and Detroit inspired house and techno, but also known to fuse a wide variety of other styles including disco/not disco, 80's/wave/industrial, electro and acid. As he shifts through these different genres, setting out a progressing - yet surprising - atmosphere in which the deepest depths are followed by build-up peaks back and forth, one can always count on his mixes to differ every single time. Together with partner-in-crime Casper Tielrooij, Thomas founded Dekmantel early 2007, with whom he strives to present the music he loves. Within less than a year Dekmantel firmly established itself highlighting the infamous illegal Nachtmantel events, a ongoing sold out monthly clubnight at Club NL, in demand summer beach parties (Whoosah) and various events at different venues in Amsterdam such as Flexbar and Studio 80.